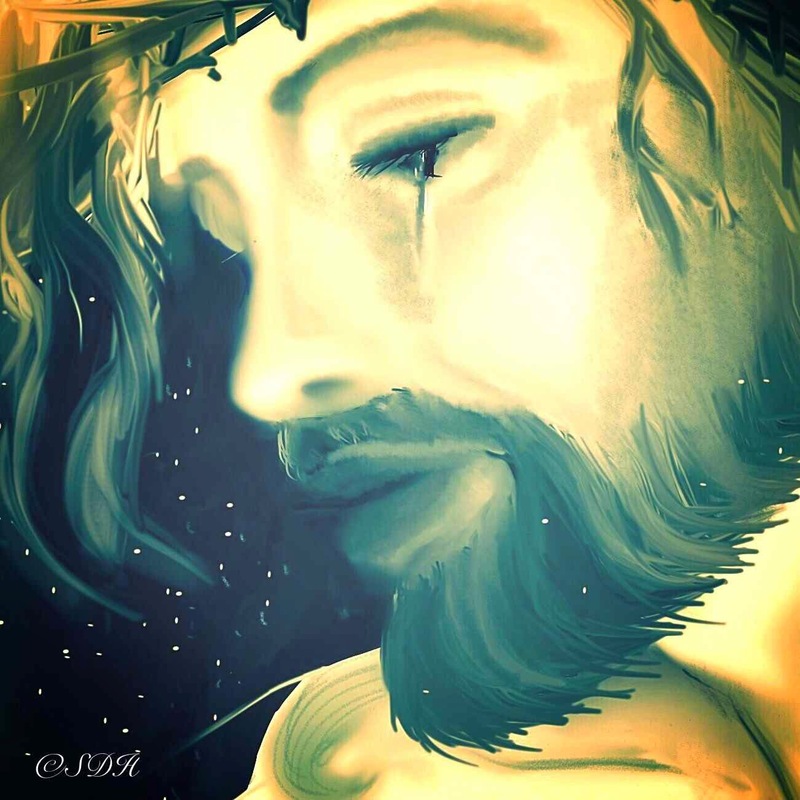 Detail Jesus Painting (Ipad Painting) © 2015 SD Harden All Rights Reserved. I love traditional drawing and painting with oils, acrylics, etc, but lately I have come to enjoy the immediacy and portability of being able to create art with my Ipad. I can create the same quality of art as I once did tethered to my studio, anywhere, anytime with my Ipad and my favorite stylus. This stylus is a very special one that my husband Mark ordered for me last year. On one end it has a traditional stylus tip, while the other end looks just like a real paintbrush. And it really works like a paintbrush in many of my art apps on my Ipad! 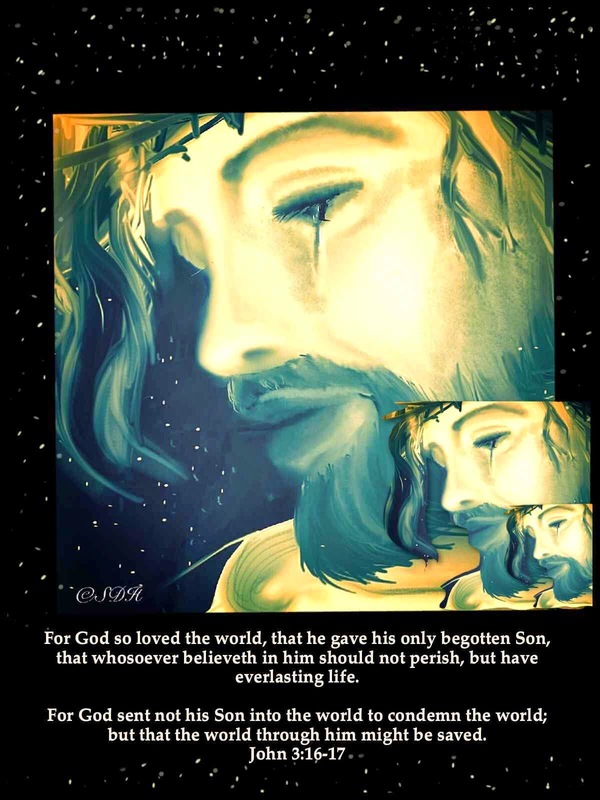 The above image is a detail of a painting I made of Jesus while we were on a trip 3000 miles away from home. I had no access to my paints or studio. I had only brought with me my Ipad and stylus. The picture started out as a sketch in an app called Paper 53 which uses a special pencil and bluetooth within the application to enable the artist to create amazing ranges of values. 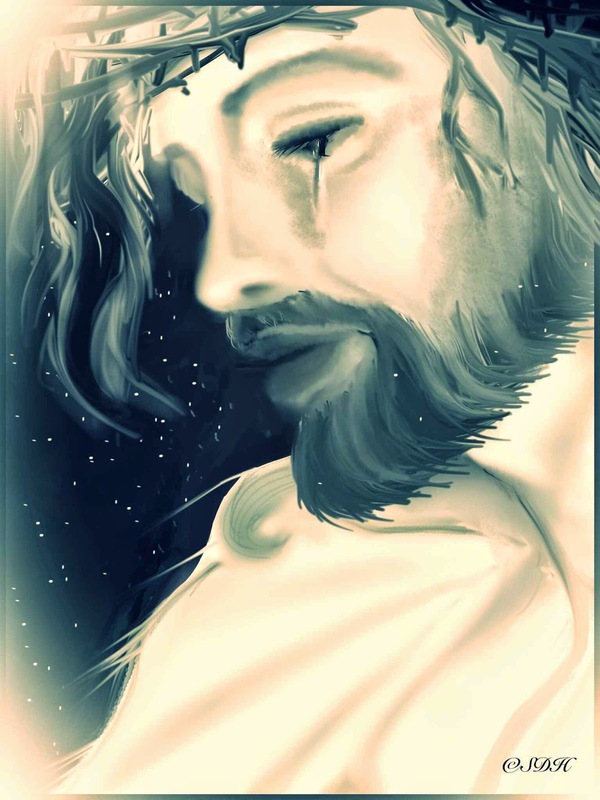 Here is the original sketch in the Paper 53 App Illustration of Jesus..
A whole range of colors are available in the Paper 53 app but I prefer working there in one color and make it just a starting point for my paintings. I love the app for the way it allows artists to blend values so naturally, just as if you were using a regular pencil or charcoal or pastel. Once I have gotten the sketch to a certain point I will take a screen shot and save it. I need to point out that it is very important to keep saving your work if you work on any mobile device. You will end up so sad if you have created a beautiful masterpiece and your app suddenly decides to crash. I have lost many hours and so much hard work due to sudden app crashes. After saving the original sketch I opened it another app called Art Studio. I love this particular app because it is like a mini Photoshop on your Ipad! Here is where I painted my Jesus image into a more finished portrait. 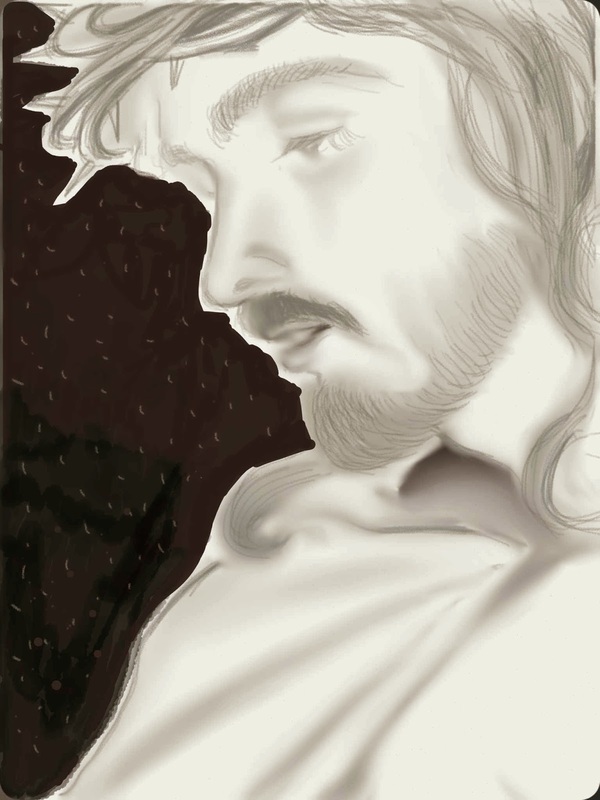 Jesus Ipad Portrait © 2015 S.D. Harden All Rights Reserved. After I finished the portrait I imported it into another app called Pic Collage. the Art Studio app where I applied text to it. To get the colors the way I wanted them I used color filters until I got just the right effect. on Him should not perish, but have everlasting life. Once I got everything just right, I posted my art on my social networks. Jesus Collage © 2015 S.D. Harden All Rights Reserved.